Will Cole (Gordon Pinsent), a rebellious, irresponsible Newfoundlander takes a carefree attitude to his life, but reality catches up to him when the old man who was his mentor (played effectively by Geer) lies on his deathbed. Cole must take responsibility for a friend’s (Convserse) death in an industrial accident and deal with the departure of his girlfriend (Goranson) for Toronto. 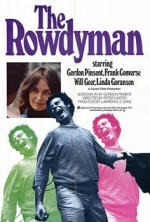 The Rowdyman is based on Pinsent’s screenplay, and director Carter provided him with a generous cinematic stage to display his comedic and dramatic talents. 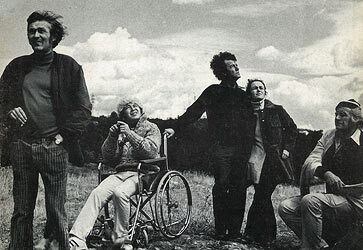 The film, which became Pinsent’s calling card, was popular at the time of its release and stands up as one of the best films ever made about life on the Rock. 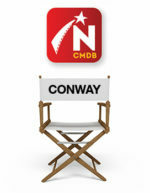 – The Essential Guide to Canadian Film. Gordon Pinsent won a Canadian Film Award for Best Actor for his work on The Rowdyman. Also See: A review of The Rowdyman.